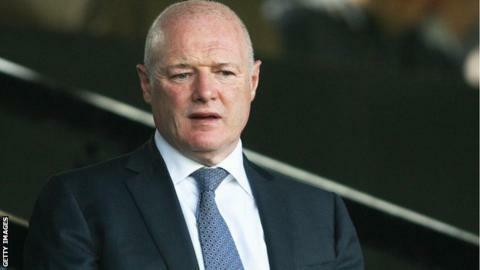 Former Manchester United and Chelsea chief executive Peter Kenyon has been key to recent changes at Middlesbrough, chairman Steve Gibson has revealed. six days after agreeing a youth link-up with city rivals Atletico. Portuguese agent Jorge Mendes has a high profile client list that includes Portugal and Real Madrid forward Cristiano Ronaldo, Chelsea boss Jose Mourinho, Real Madrid winger Angel Di Maria, Colombia striker Radamel Falcao andManchester United goalkeeper David de Gea. "I've known Peter for almost 20 years and he has put in a lot of air miles to make these deals happen," said Gibson. "It's of huge benefit that everyone in football takes Peter Kenyon's call." The Cheshire-born businessman joined the board at Old Trafford in 1997 and spent six years with the club, latterly as chief executive. He left to take up the same role at Chelsea after Roman Abramovich completed his takeover of the club and his most notable act was arguably appointing Jose Mourinho as Blues boss the following summer. Kenyon departed Stamford Bridge in September 2009 and has not taken a permanent position in football since. "He is a very successful man and I wanted an outsider's view," Gibson told BBC Tees. "I felt I wasn't being challenged enough within the club so I asked him to come and look at everything and say where he thought we could improve. "His contact book is extensive and he has given us a route to the most powerful agent in world football in Jorge Mendes [whose clients include new Boro boss Karanka]. "Through Peter we have really moved the club forward in a short space of time - he has been key to it all."